Laurie joined the Law Faculty in 2009. Her research advances the rights of temporary migrant workers in Australia and the region. She is the author of the first book on the regulation of temporary labour migration in Australia and has held a number of significant national and international research grants, including one for the Fair Work Ombudsman examining the experience of international students in the Australian workplace and another for Open Society Foundations International Migration Initiative examining the use of digital technology platforms to protect and empower migrant workers. Her recent research projects include a ground-breaking empirical study of non-residents working in homes across Australia as au pairs. 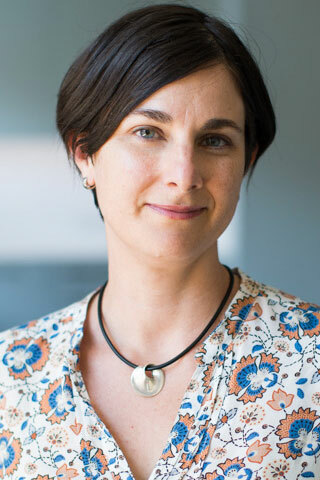 Laurie is currently working with Bassina Farbenblum on the first extensive research into temporay migrant wokers' access to remedies for employment-related harms in Australia. Before coming to UTS, Laurie worked at Human Rights First, in New York, in the International Humanitarian Law Program of the Australian Red Cross and as Co-Convenor of the Gay and Lesbian Rights Lobby (NSW). Migrant Rights at Work: Law's precariousness at the intersection of migration and labour, published by Routledge, 2016. Public debates about the terms of membership and inclusion have intensified as developed economies increasingly rely on temporary migrant labour. While most agree that temporary migrant workers are entitled to the general protection of employment laws, temporary migrants have, by definition, restricted rights to residence, full social protections and often to occupational and geographic mobility. This book raises important ethical questions about the differential treatment of temporary and unauthorised migrant workers, and permanent residents, and where the line should be drawn between exploitation and legitimate employment. Taking the regulatory reforms of Australia as a key case study, Laurie Berg explores how the influence of immigration law extends beyond its functions in regulating admission to and exclusion from a country. Berg examines the ways in which immigration law and enforcement reconfigure the relationships between migrant workers and employers, producing uncertain and coercive working conditions. In presenting an analytical approach to issues of temporary labour migration, the book develops a unique theoretical framework, contending that the concept of precariousness is a more fruitful way than equality or vulnerability to evaluate and address issues of temporary migrant labour. The book will be of great interest to scholars and practitioners of immigration law and employment law and policy. This book provides a comprehensive analysis of immigration law in Australia and of the political, social and cultural forces that have shaped and are shaping it. It explains the momentous changes that have occurred in law and policy since the first attempts, in December 1989, to `codify decision-making through detailed regulations. It is a study of revolution and counter-revolution: of the impact that the courts and tribunals have had on law and policy through the review of migration decisions; and of the increasingly extreme steps taken by government to assert control over every aspect of its immigration program. Temporary migrants comprise approximately 11% of the Australian workforce and are systemically underpaid across a range of industries. The most vulnerable of these workers (including international students and backpackers) rarely successfully recover unpaid wages and entitlements. In 2015, media revealed systematic exploitation of 7-Eleven's international student workforce, reflecting practices that have since been identified in other major Australian franchises. In an unprecedented response, 7-Eleven head office established a wage repayment program, which operated until February 2017. As of mid-2017, the program had determined claims worth over $150 million — by far the highest rectification of unpaid wages in Australian history. Drawing on interviews with international students and a range of stakeholders across Australia, this article uses 7-Eleven as a case study to illuminate systemic barriers that prevent temporary migrants from accessing remedies for unpaid entitlements within existing legal and institutional frameworks. We identify the unique attributes of the 7-Eleven wage repayment program that have contributed to its unusual accessibility and efficacy, and which may point to conditions needed to improve temporary migrants' access to justice through state-based institutions and business-led redress processes. remedies against the likelihood of obtaining a just outcome. Berg, L.A. 2013, 'Book Review: Susan Kneebone and Julie Debeljak, Transnational Crime and Human Rights', Australian International Law Journal, vol. 20, pp. 203-206. Berg, L.A. 2010, 'Reforms to Skilled Migration', The Alternative Law Journal, vol. 35, no. 3, pp. 179-180. Berg, L.A. & Millbank, J. 2013, 'Constructing the Personal Narratives of Lesbian, Gay and Bisexual Asylum Claimants' in Goldberg, S.B. (ed), Sexuality and Equality Law, Ashgate, Burlington, pp. 275-299. Berg, L.A. & Millbank, J. 2011, 'Constructing the Personal Narratives of Lesbian, Gay and Bisexual Asylum Claimants' in Robson, R. (ed), Sexuality and Law - Volume III: Sexual Freedom, Ashgate, Farnham, Surrey, pp. 321-349. Berg, L.A. 2011, 'Access to Justice for Temporary Migrant Workers in Australia: An Immigration Law-Based Proposal', Law and Society Association Annual Meeting, San Francisco. Berg, L.A. 2011, 'Refugee claims on the basis of transgender identity: trends in the case law', Fleeing Homophobia: Asylum claims related to sexual orientation and gender identity in the EU, Amsterdam, Holland. Berg, L.A. 2010, 'Labour market necessities or racial exclusion: The rise and rise of English language requirements in skilled visa categories', Migration Institute of Australia, Annual Conference, Sydney, Australia. Berg, L.A. 2010, 'That Which We Call a Rose, the Multiple Characterizations of Irregular Migrants under International Human Rights law', International Political Theory Conference, 'Thinking (With)Out Borders II', University of St Andrews, UK. This report presents the first comprehensive study of living and working conditions of au pairs in Australia. It draws on responses from 1,479 au pairs across 34 nationalities to an online survey in 2017. The study seeks to provide an evidence base to indicate the contours and variety of au pair experiences across this country. The concept of au pairing has arisen informally in Australia as a version of a European tradition where young women spent a year-long cultural exchange with a host family in a different European country, learning a foreign language and earning 'pocket money' while undertaking light childcare duties. Media reports have revealed both the growing dependence of families on au pairs as a source of flexible and affordable childcare, and the risk of au pairs' exposure to exploitative working conditions. However, because au pairing is an informal arrangement, very little is known about the day-to-day experiences of au pairs in this country, or how prevalent this practice is. Almost no empirical research has investigated the living and working conditions of au pairs in Australia, how they arrange their placement or which visas they hold during their stay. Still less is known about how experiences vary between different cohorts, such as nationality groups, host families' locations, and au pairs who use agencies to arrange their placements as compared with other means. This study begins to fill these gaps. It reveals participants' demographic profile (including nationality and visa used while au pairing in Australia), the characteristics of their first au pair placement (including tasks they performed in the home, rates of pay and hours), problems they encountered in Australia and how they sought assistance to resolve these, and their motivations for au pairing, benefits gained and overall appraisal of their experience, including whether they considered the experience to be closer to a cultural exchange or to work. Digital technology offers the promise to transform the labour migration landscape and to empower workers in new and previously uncontemplated ways. However it also gives rise to a host of practical, ethical and legal challenges. This report takes stock of the rapidly evolving landscape of digital tools that businesses, worker advocates and governments have developed to address exploitative recruitment and labour conditions. It considers the factors that contribute to (or undermine) the effectiveness of these tools, and the risks they create for workers and host organisations. These include legal, financial and security risks. The report considers resourcing and other challenges to sustainability and scalability of digital tools, and approaches to design and implementation that ensure the tools are taken up by vulnerable workers and deliver meaningful outcomes to them. It concludes that technology's transformative potential will only be realized through responsible and well-considered approaches to the funding, development, and implementation of platforms that respond to migrant workers' vulnerabilities and the structural drivers of exploitation. non-compliance with Australian labour law. migrants' diverse experiences and needs, as identified by them. to English. The survey was anonymous and open to any individual who had worked in Australia on a temporary visa.